Madrid, Spain and Espoo Finland – Nokia today announced that CaixaBank, a leading financial group in the Spanish market both in banking and insurance, has chosen Nokia as the preferred provider of smartphones for its employees. The agreement includes the purchase of approximately 30,000 Nokia Lumia devices. The close collaboration between CaixaBank, Nokia, and Microsoft has enabled Nokia and Microsoft to offer valuable technical and creative support in CaixaBank’s technological development phase. CaixaBank reinforces its position as the leading Spanish bank in the world of innovation as well as service quality with its choice of Nokia Lumia. Mobile devices are a highly valuable asset in the relationship with customers and the implementation of Nokia Lumia as the preferred device family for CaixaBank employees is a strategic project focused on promoting mobility, adding value both for CaixaBank employees and customers. “Thanks to the collaboration between all parties, we managed to deliver a customized solution for CaixaBank covering all their requirements and allowing us to manage it for the future in a coordinated way”, Reyes Justribó, General Manager for Nokia in Iberia, points out. The Nokia Lumia 925 was chosen for a first phase after having been used in various testing programs with the option to upgrade to new Lumia models in the future. A special program for employees will also provide them with the opportunity to acquire Nokia devices for their personal usage, as well as for family and friends. 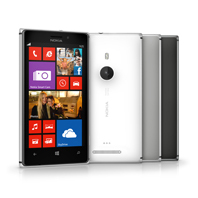 – The ability to develop a common environment for corporate applications between smartPC and Nokia Lumia smartphones. CaixaBank is considered one of the worldwide references in innovation and technologies. It has received many awards such as “the most innovative bank of the world” in the Global Banking Innovation Awards, promoted by the Bank Administration Institute (BAI) and Finacle. CaixaBank nowadays has 9 million online banking clients of which 3.9 million use the whole range of mobile services. On a monthly base, 1.9 million customers operate their mobile banking channel and its mobile device apps are downloaded over 8 million times. This makes CaixaBank’s portal the sixth most read website in Spain, according to Comscore. With more than 12.2 million cards delivered, CaixaBank is also a leader in electronic banking. Over 3 million of these cards already function with the new “contactless” technology. In addition to all these mobile and electronical banking options, CaixaBank also offers its clients the widest network of ATMs in Spain with around 10,000 terminals.